Although extinguished, the surveillance teams will keep an eye on the areas where flames have set off in the fire at Boca dos Namorados. The Helicopter featured in the Plan to Combat Forest Fires was at the Operations Theater, in Jardim da Serra, in an action to attack the flames of this late morning this morning. The air support team has already made several discharges of water in the place, mainly in the side of the slope of Curral das Freiras, where the terrestrial means are not possible. 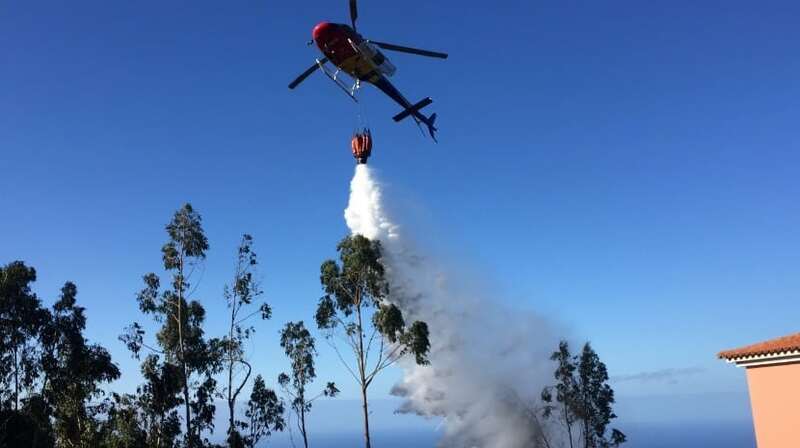 Also the helitransportada team, made up of five professional firefighters, was on the ground along with the forest firefighting teams (ECIF) of three corporations. In the fight against the flames were three fire brigades, supported by several heavy and light vehicles to combat forest fires.